Since the new westbound I-70 to southbound K-7 loop ramp is now open to all traffic, sometime during the day on Friday, January 2, 2015, Wednesday, January 7, weather permitting, the left turn lanes from the existing westbound I-70 to southbound K-7 ramp will be removed as crews will remove and install new pavement markings on the ramp. 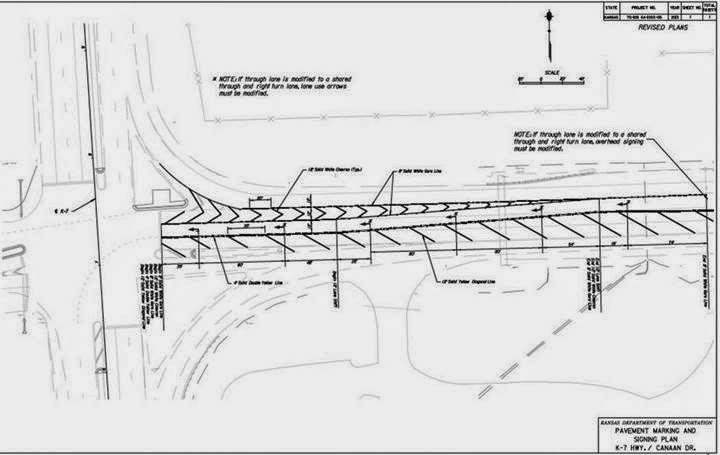 This ramp access movement has TWO left turn lanes, one left turn lane is currently closed via a variable message board advising that the upcoming removal of both turn lanes will occur. Once the left turn lanes are removed, westbound I-70 traffic will no longer use this existing ramp to exit onto southbound K-7. 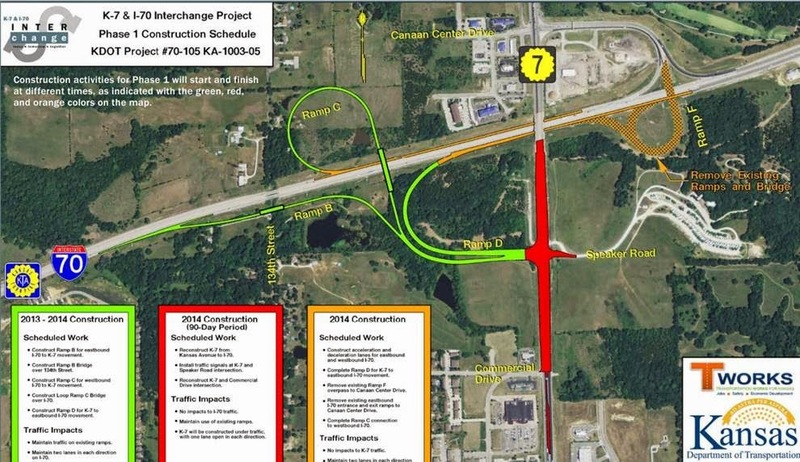 The only movements available from the existing westbound I-70 to southbound K-7 ramp will be either right turns onto northbound K-7 or the through lane movement onto Canaan Drive.